How many times do you think about taking a large or small risk socially, romantically, or at work and you don’t? About what percentage of the time do you go for the less risky option and take the safe option (do nothing)? How well do you like the results of taking the safe option? If you chose the risky option how much you do suffer with self-doubt, self-criticism by rehashing old memories of painful past experiences before or after taking on the more risky option? Either way if you feel disappointed or anxious within yourself you are not alone. Almost everybody I see for counseling or coaching and almost everyone in my family or in my circle of friends has the same problem to some degree. The pain shows up in feelings and stories we have carried for a long time. Most of us have some insight as to the origin of stories and how long they have been hanging out with us. Even with people who have a lot of insight there is a part two that shows up in this process. More digging. More insight. A simple question hooks us. WHY? Why do I feel this way? Why can’t I do what I want? Why can’t I get rid of the feelings that hold me back? Why…Why…Why…and more digging….if only I can figure this out…if only I knew what was wrong with me? If only I knew how to fix myself. I can tell you right now, up front, without a doubt you are NOT broken and do not need to be fixed like a broken down car. Maybe stuck but definitely not broken. You might need a different and new set of skills to get unstuck which I will talk about in a minute. I have a name for this two part problem of being stuck and digging with the shovel named why into the dirt of if only. Survival Corrosion. Our minds are fine-tuned at keeping us safe and that fine-tuned mind can corrode and destroy the quality of life you aspire to attain. The cost of Survival Corrosion can include not getting a much wanted job/promotion/raise or not developing intimacy/connection/romance/trust within a relationship. The more sinister and subtle cost is a lack of vitality in the sense of not being involved in living your own life. Another cost is staying in battle with your mind (which is exhausting not to mention time consuming) while the meaningful things in life pass you by leading you toward a dead end life. Cowabunga! What can you do? You can name the story. It’s easy. As easy as watching the TV show Seinfeld. 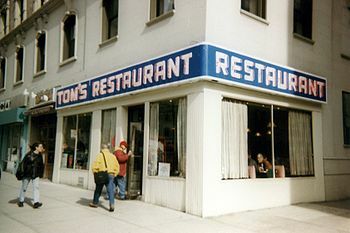 The Rolling Stone magazine has a fantastic article, From Soup Nazis to Nuts: 100 Best ‘Seinfeld’ Characters with a brief paragraph overview of the Best known episode of each of the characters. You can use the episodes and the characters as a tool to capture the history and the nuances of your own suffering. I am not by any means making light of your pain. I am sharing with you a skill you can develop called defusion. Defusion is a technique that allows for you to create cognitive distance in your mind so you can assess the workability of your behavior choices. I will explain defusion and workability in the next post. Meanwhile, take a break and watch a few episodes of Seinfeld. Keep in mind the following questions as you will use the answers for the next blog. Who else is your next best favorite? What are your favorite episodes? What character do you most dislike? On your worst day what character captures your worst day experience? On your best day what character are you most like? Do you like Elaine? Are you neurotic? 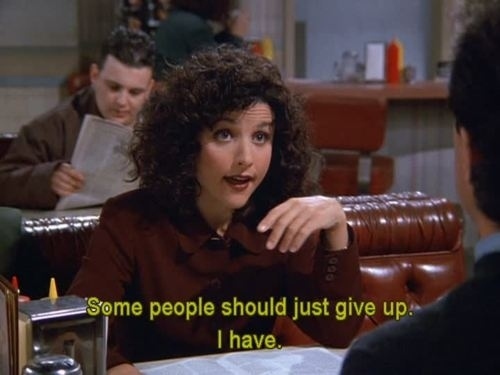 According to the website Seinfeld Scripts, “There’s a little neurotic behavior in all of us — that’s why Elaine is so easily relatable, especially by female viewership.” Matt Stopera staff writer at BuzzFeed gives us 30 Examples Of How We Are All Like Elaine. 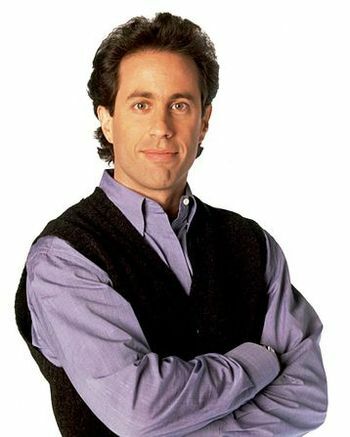 Check back for the next post and learn how Seinfeld can be used to liberate you from the battle of unnecessary suffering and Survival Corrosion? If you are in one of the following careers and you want to learn how to leverage defusion with yourself and with your others consider attending a two day training or a six week training on Acceptance and Commitment Therapy/Training (ACT). Defusion is one of the six core processes of evidence-based ACT. Check it out here or click on the workshop tab at the top of the page. Can we really trust our mind? (c) Copyright 2015 Brenda Bomgardner all rights protected. Survival Corrosion. What an insightful way to view intractable stuckness, and to examine it through the eyes of media and humor. Thank you! Kate, It is a pleasure to have you stop in and share your insights on intractable stuckness. Do you have TV personalities you can identify with? I am hooked on sitcoms as a way to be able to laugh at myself and to hold the inner critic with gentle kindness. I am writing part II today. Please check back for more. How wonderful to bring in media and humor…love the power of labeling the ego story! Brilliant. Lanie, Welcome to Creating Your Beyond. The ego which is where our stories and voices live can be powerful at controlling our life. Naming the story around fear can help put perspective on the paralysis of internal struggles. Techniques from Acceptance and Commitment Therapy work great at creating room for making a different choice to see what works. Do you have any methods or techniques you like that are helpful in freeing people of their struggle in the war zone? Are your beliefs or attitudes keeping you stuck? Download this free evidence-based questionnaire to assess the stumbling blocks to your happiness. Feeling Isolated Got You Down?